1. What is red light therapy? 2. What does red light therapy do? 12. What are red light therapy side effects? 14. How to use red light therapy at home? Nowadays people have heard a lot about red light therapy and its role in the beauty industry. But you may question: Does red light therapy work? Is red light therapy safe? Or can I use red light therapy at home? And many other confusions related to this non-drug method. In this article, we will answer all of your questions about this amazing technique in many medical applications. After scientists first discovered ruby laser light therapy in 1960, it gradually became popular in medical applications. Endre Menster – a Hungarian scientist, noted the beneficial effect of laser in stimulating hair growth and wound healing in mice experiment in 1967. After that, he began using a low-power laser to treat skin ulcers – which started a new era of low-level laser therapies (LLLT) in medical treatment. Red light therapy is the common name of LLLT, as it contains low-power red light wavelength that absorbed by human skin. In opposed of another high-level density laser that can damage tissues, red light takes effect on cellular energy and metabolic process. NASA was the first company that studies about the effect and application of red light therapy in space. They used the benefits of the wavelengths for plant germination and injured astronauts as it improves wound healing. In recent years, people use red light therapy to treat neurological diseases, perform surgeries, and for some other purposes. In the next part, we will discuss its mechanism to understand further how red light therapy works. The red light wavelength penetrates the skin structure to a depth of 8-10 millimeters and becomes active at that point – where skin repair process occurs. It takes part in skin rejuvenation by stimulating the skin to produce more elastin and collagen. Both elements play a vital role in making the skin soft, hydrated and radiant. A good skin condition can keep wrinkles, aging signs and pigmentation away. Besides, red light therapy is a potential method of reducing musculoskeletal pain, stimulating hair growth and wound healing. Just imagine how red color primes human senses and increases heart beat, you will know what red light can do with our body . As it contains low-energy that does not produce any heat, the patients feel no pain or burning during the treatment time. They even report no feeling while the red light emits their skin. Promoting lymphatic system – which belongs to the immune system – to defense harmful agents and eliminate the waste. Providing oxygen and nutrients to the body tissues by increasing blood flows and forming new blood vessels. Stimulating the production of collagen and fibroblasts – the vital elements of human skin and joint. Accelerating the wound healing by repairing damaged soft tissue. Activating white blood cells and stimulating natural inflammation process, which controls the natural healing mechanism. Have anti-aging properties by minimizing oxidative stress and free radicals agents. It is essential to know about the massive impacts of red light therapy for skin and our health. In 2014, scientists compared the effect of wrinkles treatment between two groups: one with red light therapy and one with a sham light. The whole period lasted for 30 days, and the result was recorded at day 0 and day 30. It was not so amazing that the skin roughness and wrinkles improved dramatically in the red light group. Moreover, there was a noticeable increase in the collagen intensity score in patients using red light . So, instead of applying expensive serums and other topical creams that you are not sure about their effectiveness, using red light therapy is a smarter choice. You will no longer worried about the wrinkles status as well as the budget, as buying an infrared light and use it at home is a reasonable option. Owning a healthy tanned skin is the dream of many women in the world. While there are several ways to dye your skin by using traditional sunbeds, red light therapy bed will give you an anti-aging property. But do not misunderstand these two methods. Initially, you have to distinguish between the indoor tanners that use ultraviolet radiation with red light therapy. Traditional sunbed was invented as an alternative source of ultraviolet rays – UVA and UVB – to bring up a beautiful tan. Meanwhile, red light therapy produces a wavelength out of the UV range and does not have tanning benefits. The ultraviolet wavelengths are ranging from 100 to 400 nanometers. Most tanning bed contains a tanning device that produces a high amount of UVA radiations. The primary effect of UVA is stimulating melanin production, results in a darker skin tone. However, this method is associated with wrinkles, skin cancer, sunburn, and eye cancer. Thus it is not recommended by the World Health Organization . Red light therapy, in opposed, provided a visible red light wavelength that ranges from 630 to 660 nanometers. This light spectrum is closed to infrared light, which can penetrate deeply into skin layers to repair and rejuvenates skin damages. It helps fade dark spots and brighten your skin color. But why did I mention the red light tanning purposes above? For those who prefer a milky-white and smooth skin rather than a dark one, red light therapy is the ultimate option. In a red light therapy bed, you will see the bulbs and lamps that are different from the usual sunbed. As the red light bulbs only take effect on the local area, they put the lights all over the bed to cover your body. That is why the bed works as a total body enhancement. Nowadays, white-tanning by red light therapy is very common in every beauty spas and dermatologic clinics. Sometimes, they will give you body lotions or creams to enhance the tanning effect, but the secret is in the light. The whole tanning process requires at least ten visits, with 20 minutes each time to get the result. But it still depends on the patient’s age and their skin condition. According to NASA, some of their studies have shown that red light therapy causes no harm or adverse effects on human body. In fact, this treatment is pain-free, low cost and suitable for people of all ages and genders. If you still want a radiant skin with a tanning shade and no side effects, there is nothing more than the combination of red light and UV lamps in one tanning bed. While UV lamps work to tan the skin, the red light wavelength penetrates through skin layer and increase the blood circulation. Thus, it will carry oxygen and antioxidant agents to the tanning process. This is considered as a win-win situation: both tanning property and skin rejuvenation can acquire the best result. To use the red light tanning bed, you have to divide the 20-minute-session-time into two periods. In the first ten minutes, you will activate both UV lamps and red light lamp to receive the multiple benefits. Then the UV lamps will be turned off after half of the time. Rosacea is a skin condition with redness and irritation at the center part of the face. While there is no possible cure for this disease, there are still some solutions to ease the symptoms. As rosacea is a chronic skin condition, it is better to combine different methods to alleviate the symptoms, such as moisturizer or essential oils for rosacea. Most cancer patients have to undergo complicated treatments such as radiation or chemotherapy, which may cause terrible and painful side effects. There are many ongoing studies to find a proper method to ease the pain in these situations, of which red light therapy is a potential solution. The device that uses far red light/near infrared therapy is called HEALS (High Emissivity Aluminiferous Luminescent Substrate). It releases long wavelength that contains energy to stimulate the natural healing process of human cells. According to NASA, 96% of cancer patients reported of pain improvement after receiving HEALS method within 14 days. This device was also well tolerated with no harms to the patient’s body . Compared to the total cost of one day at the hospital, HEALS shown a greater benefit with a less price. In another study in mice, researchers found that near infrared light therapy could target and destroy cancer cells after a single dose. Meanwhile, good cells surrounded were unharmed after the treatment . Although more evidence is needed, scientists concluded that red light technique is a potential alternative treatment to replace traditional surgery, radiation and chemotherapy. Red light therapy should not be mixed up with other laser light therapy resurfacing treatments. Most laser processes use intense light to remove the surficial tissues and promote skin rejuvenation. That means they cause pretended damages of the skin layers before activating the inflammation and healing process itself. In contrast, red light therapy skips the destructive part and targets at the fibroblast, immune cells, and keratinocytes. By increasing the regeneration of those cells, it accelerates the skin rejuvenation more safely and efficiently. Some studies have revealed the mechanism of red LED lights in repairing injured tissues. The light emitted from a LED works as a catalyst of adenosine triphosphate (ATP) production – the fundamental energy of every living cells. Once the energy is boosted, the cells from the treated area start generating new cells to repair the injured parts. Moreover, the development of fibroblast adds more collagen and soft tissues – which is extremely helpful for connecting structure. One of the biggest problems for not only the elderlies but the youngsters is hair loss. There is nothing scarier than seeing your hair gets thinner, and the balding patterns appear bigger days by days. According to a study in 2014, red light therapy improved hair counts in balding males significantly, with no side effects reported. The rate of hair growth in the treatment group was 35% compared to control group . The red light wavelength that is suitable for hair loss treatment is about 630-670 nanometers. A substance called Cytochrome C absorbs the light within that range and sends signals to promote genes activity. The process results in fewer cell deaths and creating more hair follicles. 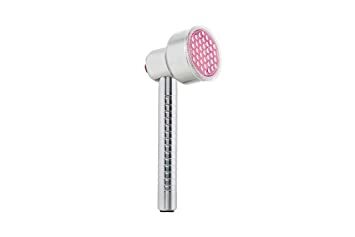 In 2007, Foods and Drugs Administration (FDA) approved a hand-held red light device with 635 nanometers wavelength as a legal treatment for hair loss in the males. Then they accepted another device with 655 nanometers wavelength to treat the disease in both genders in 2009 . Due to its ability to stimulate collagen production and restore the cartilage, people use red light therapy to treat many joint disorders. In 2009, scientists confirmed that red light therapy should be a short-term treatment to reduce pain and morning stiffness in Rheumatoid arthritis patients . This alternative treatment is beneficial for not only arthritis but degeneration caused by aging. The Lancet stated that red light therapy could reduce acute neck pain immediately, and those who have chronic neck pain will see the result after 22 weeks . Even when patients do not receive the pain-relief effect of this method, they still experience a better range of motion after treatment. Due to the impact of cellular rejuvenation and blood circulation – the two largest aspects of red light therapy, red light helps ease many musculoskeletal diseases. Through the lens of Traditional Medicine, the mechanism of red light therapy is somehow similar to acupuncture. It helps improve the energy, immunity, and sensation, thus reduce the anxiety and depression. The natural essence of light is energy. When combining with the energy in the human body, it helps boost the meridian point and zones and improve health in general. Similar to acupuncture that use needles to stimulate certain points, red light therapy uses red and visible wavelengths to target those points in the same mechanism. The red light itself has proved to be associated with positive moods and self-confidence, passion, and joyful. Combine with proper wavelengths; this treatment will possibly improve the quality of life of the patients. Some fitness places provide red light therapy as a total body enhancement for their customers after hard working out exercises. For instance, if you live in North America, you can use Planet Fitness total body enhancement machine in every gym rooms of this system. 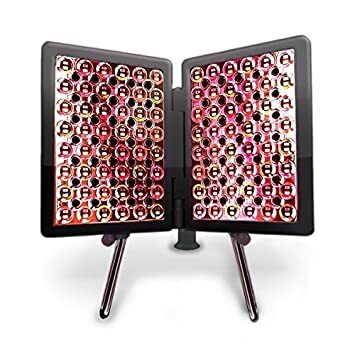 Red light therapy Planet Fitness brand is one of the best quality machines due to customers reviews. What are red light therapy side effects? Despite its benefits, the parameters of red light therapy in some clinical research remained controversial. Some scientists considered the overall dose of it, as they did not know whether the treatment time or power density should be increased. However, the beneficial aspect of red light therapy in undeniable. The severity of those symptoms ranges from mild to moderate. These signs may last for a few days after you start the treatment. You can avoid these negative signs by reducing the treatment length, put light box farther from your body, and take a short break between long sessions. When these side effects become more severe, it is better to consult your doctor for advice. You have some medication such as antibiotics or anti-inflammatories, which make your skin easier to react with environmental agents. You eyes are sensitive to light and can be damaged easily. You should consider using red light therapy because multiple reasons make it different from other methods. Compare to other kinds of bulbs; red light lamp owns a closer (tighter) wavelength span. For instance, if a fluorescent light has a peak of 660 nanometers, other efficient wavelengths of that device fluctuate. They may vary from 620 nm to 700 nm or more, which makes the light hard to focus on the treatment area. Meanwhile, in red LED lights with the same peak, other useful wavelengths only range from 650 nm to 670nm. That is why many people choose red light therapy instead of other types of bulbs to receive more beneficial purposes. The patients will not feel anything while performing this method as red light emits just a little heat. This benefit makes red light technique safer and more comfortable for human skin. Nowadays, the materials that used to make red LED lights are solid electronics, plastic, and metal. They are long lasting, compare to other incandescent and fluorescent bulbs that come from the glass. Today they design LED red light as a pocket-size item. Most customers are pleased with this portable and hand-held device: it is easier for them to pack and carry the machine while traveling. Just use a small amount of energy, but LED light therapy machine can produce the same light effect with traditional lights. This eco-friendly property has convinced many producers, customers, and environmentalists. How to use red light therapy at home? Knowing how to use red light therapy at home is an efficient way to save your budget and time. Instead of 100-dollar-bill each time you visit the spa or clinic, it is much cheaper to stay in your room with a machine that you have already purchased. Similarly, the red light device can replace all of your skin care lotions, a huge part that burns your money each month. This red light system works as a skin rejuvenation instead of lasers and chemical peels. It increases blood circulation under the skin, boosts cells regeneration and collagen production. To use this device as a light therapy for wrinkle, after pressing the power button, put it near your face. 15 minutes are enough for each treatment session. You need to give the panel 5 minutes to cool down after starting a new treatment in another place. NASA technology has developed this device to a new level, with the combination of different wavelengths. They work together to increase blood circulation, reduce inflammation and thus relieve the pain in some muscle or joint disorders. Nowadays, researchers have approved the effect and safety of this portable device. 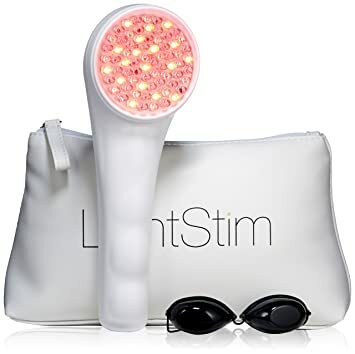 To use Lightstim, let the machine touch your skin gently and hold it for 5-30 minutes. Then you can move it to another area and repeat the process. You can repeat the treatment as often as your desire to get the best result. This device looks like a mini desk lamp that will be put in front of your face while using. To use this device, you need to hold the light near your face for about three minutes before moving to another position. The total length of treatment may last for 15 mins. They design this device to use on customer’s face, with the effect of stimulating collagen production. As the name implies, Norlanya contains photon therapy that works to rejuvenate skin structure. Besides, this machine has two programs for different types of weathers. You should use program one for daily care in spring and summer, while program two is designed for autumn and winter. 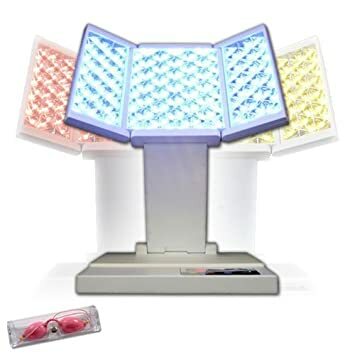 To use this red light therapy, you need to turn on the device and select one of the three colors, as well as one of the two programs. Put your body area close to the machine and hold for 10-30 minutes, then repeat several times each week. 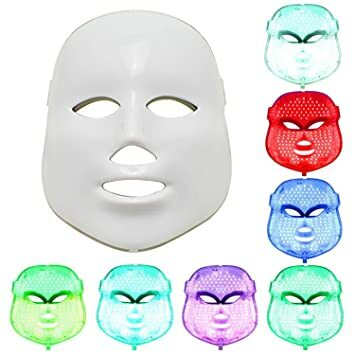 With face-shaped, it is effortless to wear these red light therapy masks and enjoy your treatment time. This device should be your first option whenever you want to start using LED red light therapy. To use this mask, place it on your face with you eyes fit the goggles. Press the button on the mask; then the lights will come on. It will turn off automatically after 15 minutes using. Conclusion, red light therapy is an amazing technique as it has many beneficial aspects in medical applications and beauty industries. Here is everything you need to know about this method and some red light therapy reviews. Hope that this information is useful and fully provide what you are searching for.